Stull, Kansas – Just One Of The Many Doors, Portals And Gateways To Hell? You can read a little more about the film and watch a short interview with Saul “Slash” Hudson here. Stull, Kansas, and in particular the cemetery has gained a notorious reputation for satanic, occult and paranormal activity. 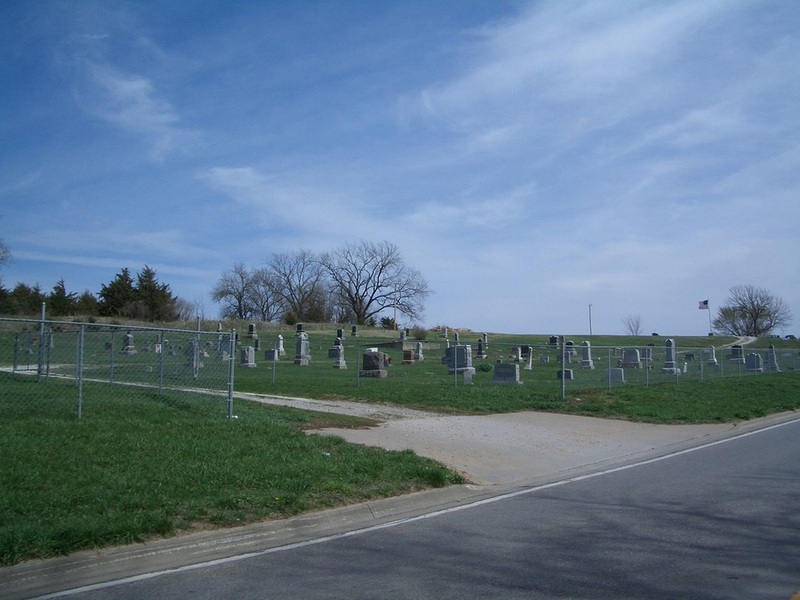 In short, legend states that the Devil himself appears in this location and that the cemetery is one of the "Gateways To Hell." Although these stories have lasted for generations, with some of the locals talking of them as fact as opposed to urban legend, they seemed to gain momentum in the 1970s – with the locals who don’t believe Satan is a frequent visitor to the area, stating that the origins of the legend stem from a fraternity prank gone wrong - or right, depending on how you look at it. The apparent activity was said to be centered around a stone church that had been built there in 1867. Due to constant attraction to people who have an interest in the occult, as well as “genuine” Satanists looking to catch a glimpse of the Big Chap himself, the church was knocked down in 2002. The infamous Stull cemetery - said to be site of a gateway to Hell. There has been some strange activity noticed there though. It is said that buildings have mysteriously caught fire with no obvious cause. Strange voices have been heard and occasionally picked up on tape recorders, most notably the voice of what appears to be an old woman. There are also legends, particularly among the young people who drink and have drank there, that if you threw bottles against the old church, they wouldn’t break. For those that do subscribe to the strange activity, there are several theories as to why the Devil has chosen Stull as such important ground. There are also stories of people purposely avoiding the area (although these are speculation more than fact). It is said that in 1995, the Pope had his private plane redirected so that it wouldn’t fly over the town. Others though state that the real “Hell” is the aforementioned visitors and curiosity seekers who descend on Stull. Some are genuine investigators who conduct themselves accordingly (although the publicity they bring with their work is often not welcome). For others though, the “bored teenagers”, it is just “something to do” and somewhere to go and drink a few beers. After the building was destroyed amid fears that it was only a matter of time before it’s aging walls collapsed and injured or even killed one of the thrill seekers, a high fence was erected around the cemetery. The "visible" gate of the "Seven Gates Of Hell" in Pennsylvania. Of course there are many more supposed entries to the underworld. The recent film “As Above, So Below” set in the Paris Catacombs dealt with similar subject matter. You can read a little bit about the film’s plot here. While the catacombs do exist underneath Paris and are a genuine tourist attraction, many people also believe that deep “off the beaten track” of the underground graveyard is an entrance to Hell. In many ways, the “understated” way the "As Above, So Below" film makers presented Hell to the viewer made it seem “real” in that, if there was an entrance to Hell, this would probably be how it would look. You can check out the videos at the end of this article (the last two) - they claim to be "found footage" from some-one who it seemed had gone deep into the catacombs in Paris. The “Seven Gates Of Hell” are said to be in Hellam, Pennsylvania. Although there are several legends regarding the origin of the gates themselves, all of them agree that there are seven gates in the woods of Hellam (only one of which is visible in daylight) and that by passing through all seven you will be taken straight to hell! In New Jersey there is the supposed entrance to Hell behind the Old Black Prince Distillery in Clifton. In Indiana there is the famous “Demon House” that was recently bought by a paranormal investigator – the house is said to be a portal to Hell. 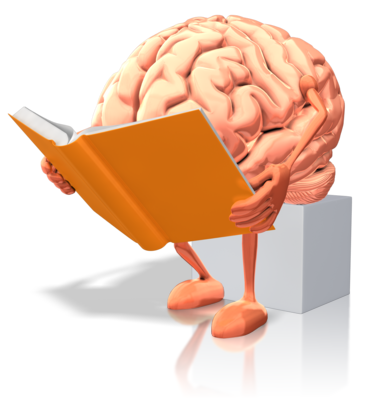 It is not just a phenomena or interest from recent years either. 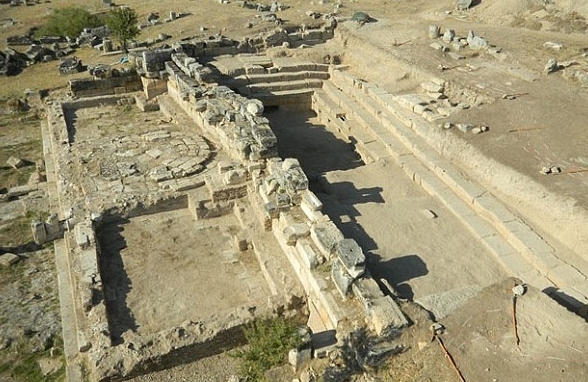 In the ancient city of Hierapolis, which is now known as Pamukkale in southwestern Turkey, there has been discovered a temple doorway that is spewing out toxic gases. It is said that any birds who happen to fly too close to the temple fall dead out of the sky. You will find a little further reading about the ancient site here while this link tells of thirteen supposed entrances to Hell from years past. This ancient site in Turkey matches ancient writings that describe it as a "portal to the underworld." The alleged entrance to Hell behind the Old Black Prince Distillery in Clifton, New Jersey. 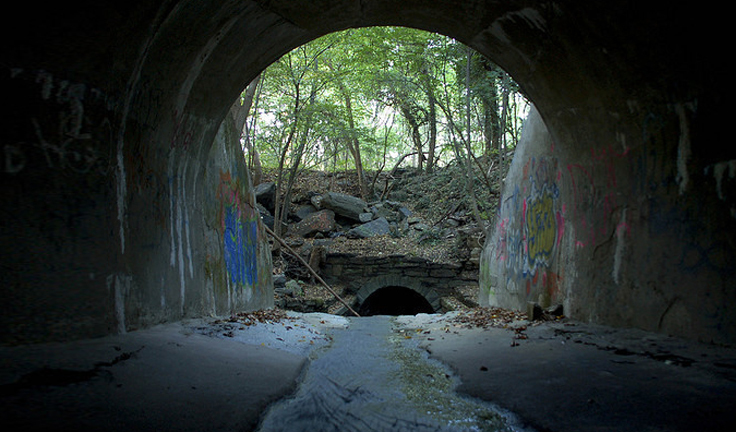 More recently in the woods of Blue Ash, Ohio back in the United States, there is a supposed “Portal To Hell” that has become known as “Satan’s Hollow” to the locals. The entrance to "Satan's Hollow" in Blue Ash, Ohio. However, as it is in Stull, Kansas, local law enforcement say the attention is hard on the town folk who quite regularly witness people outside their properties trying to make their way into the drains so they can access Satan’s Hollow through the drain network. Blue Ash Police Lt. Steve Schueler states that so far they have had “warn a few kids” but have made no arrests. Schueler also offers reasons as to why there are reports of so much “bad energy” and experiences that many people say they have had. He could well be right. Even without the drop in elevation, sometimes, when already “knowing” the history of a place, combined with fear and anticipation of what you are "expecting" to see can play tricks on and influence your mind somewhat. That being said, if you were to find yourself in front of one of these gateways or portals to the underworld - to Hell - would you be that confident that it was nonsense and walk into it? ​The Black Monk Of Pontefract And The Very Real Haunting Of 30 East Drive! 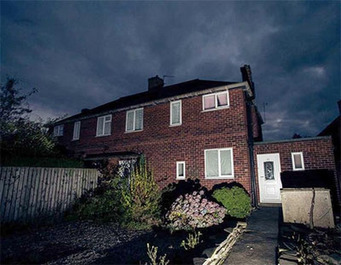 Widely regarded as the "most violent haunting in Europe" the events at 30 East Drive are chilling and mind-blowing. ​Ten Times Deaths And Murders Were Blamed On Metal Music. ​​Halloween – It’s All Fun And Games – Most Of The Time……..